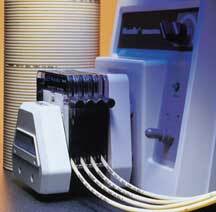 Our thermoplastic tubing is designed to have strong physical properties in a flexible tube. Install this rugged tubing in demanding fluid transfer applications. Tygon® A-60-G and Tygon® A-60-F (formerly Norprene®)and Pharmed® tubings outlast and outperform virtually all other general service tubings in peristaltic and vacuum pump applications. Select from industrial, food grade or pharmaceutical grade tubings. Available in two package sizes. Call for quantity discounts. Industrial Grade Tygon®  Tygon® A-60-G (Norprene®) will not weaken or crack after years of exposure to heat and ozone. It provides a long life use in a wide range of applications (ie gasketing, abrasion-resistant sleaving and caple insulation). Food Grade Tygon®  Tygon® A-60-F (Norprene® Food) is designed to withstand high temperatures that occur during food and beverage processing. It will not crack and/or deteriorate like most traditional rubber tubings. 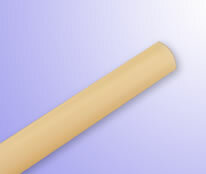 Pharmed®  Pharmed® tubing is less permeable to gases and vapors than silicone tubing. It has very good chemical resistance and excellent acid, alkali and oxidation resistance.